The #1 Goalie Training Program In The Nation For 28 Years! To be the best, you have to learn from the best. Peak Goalie has been #1 in the nation for more than 28 years. We have the experience and knowledge to help you achieve your goals at any level. You will learn both the physical and mental skills necessary to stop the other team in their tracks! 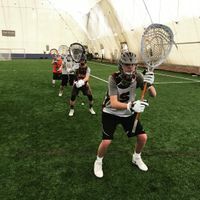 Many of our coaches are accomplished lacrosse players able to demonstrate and relate from their personal experience. They have competed and coached at the high school, college and professional levels. Decades of lacrosse experience, A coach to player ratios at just 4:1 and a friendly environment have all contributed to our success. At Peak Goalie, we know the importance of the goalie position because we are goalies. You're the last line of defense for your team, and we strive to make you not only a goalie but a BRICK WALL. 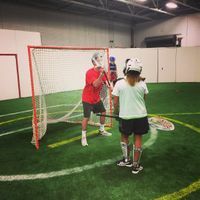 The Peak Goalie Summer Camps are designed to prepare you for your seasons in every fashion. 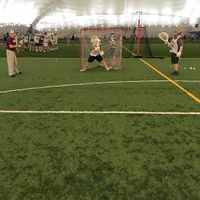 The goal is to get your game to the next level, be a part of the long tradition of Peak Goalies that bring their game to the highest level in the game of lacrosse. The Peak Goalie staff is comprised of and is here to bring your game to new Levels! Many of the staff members were former Peak Goalie participants!